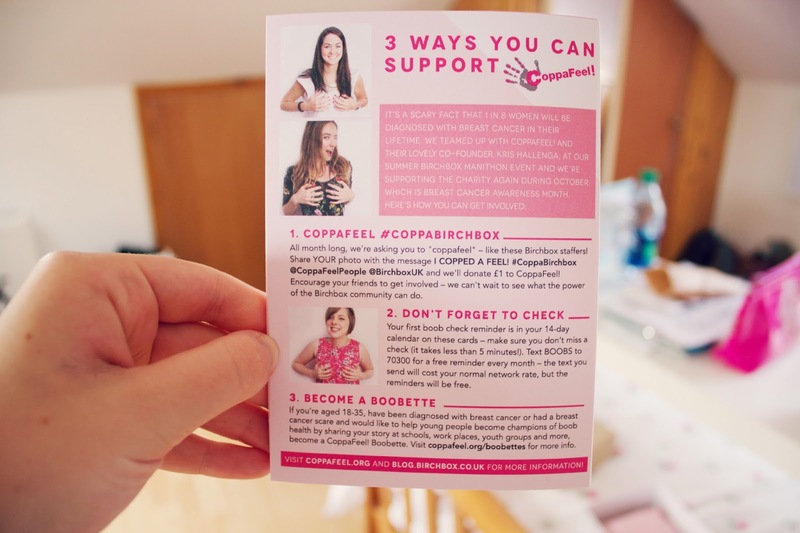 Birchbox have partnered up with Coppafeel for Breast Cancer Awareness month to give some advice and information on the signs and symptoms of breast cancer! 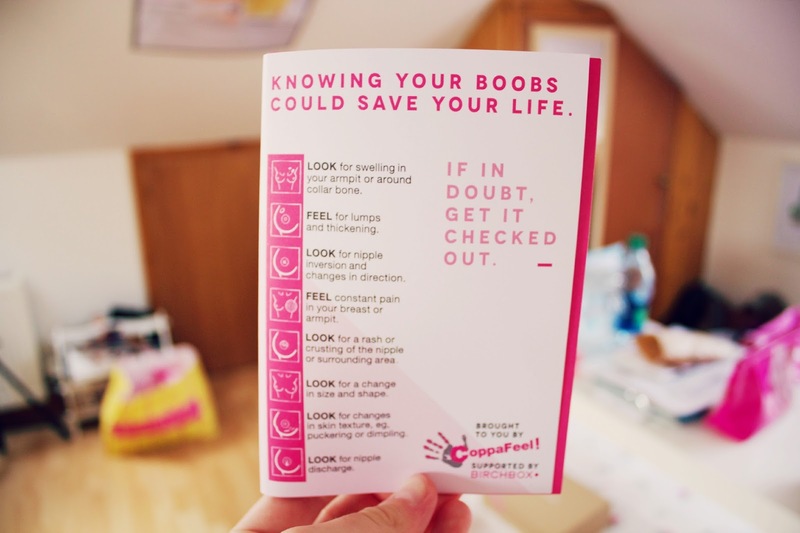 The box comes with a handy guide of how to check yourself for any lumps and some useful information on Breast Cancer. 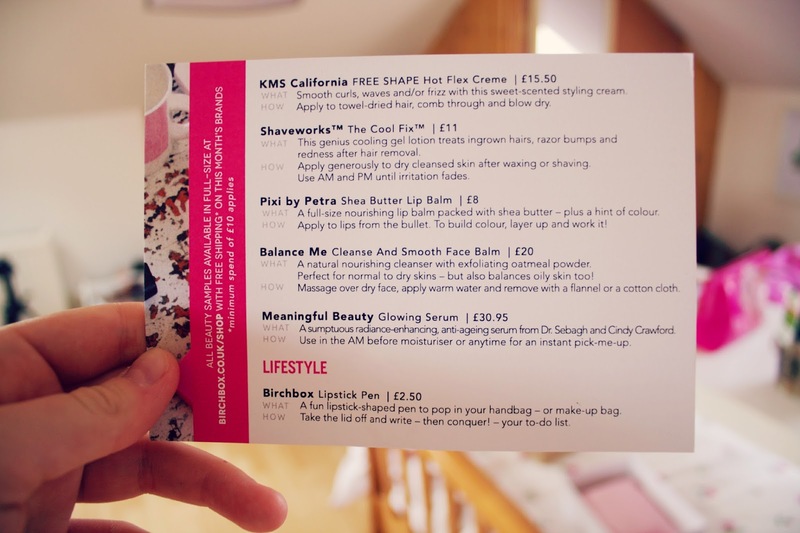 You also get some guidance on how to use the products in the box! 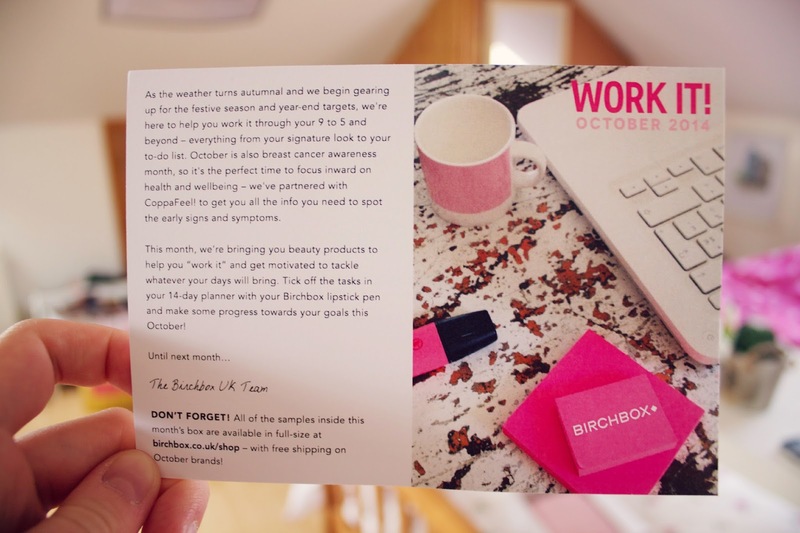 So, here's the contents.. This product is used to "transform coarse and unruly hair" so it is easier to manage and smoother. 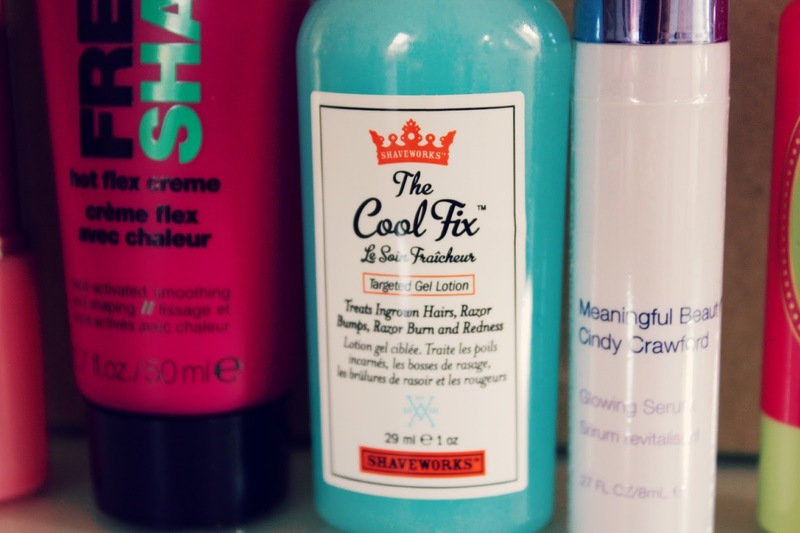 You simply apply on towel-dried hair, comb through and then blow dry as usual. This also protects your hair against heat so your hair stays nice and healthy! 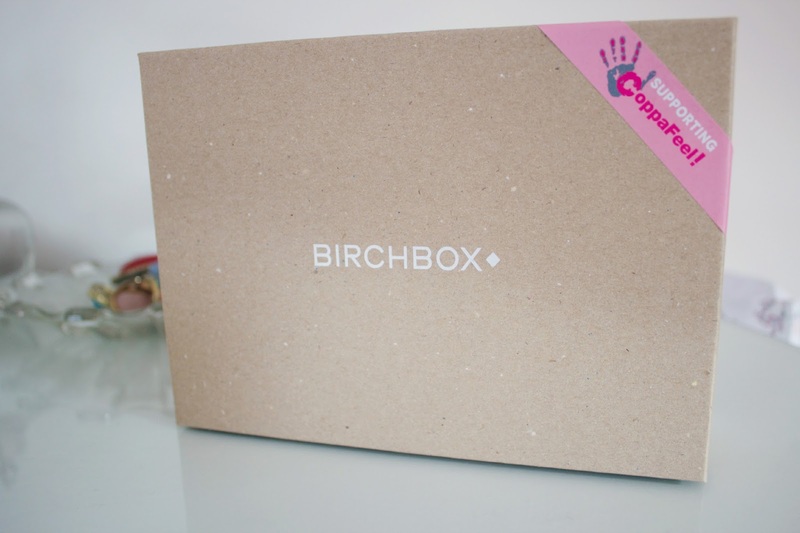 This is one of my favourite products in the box and the one I was most excited about trying as I constantly get razor bumps but it also works for ingrown hairs, razor burn and redness! You just apply this after you have shaved. This is a tinted lip balm, it comes out a really lovely raspberry colour which I love! I have extremely dry lips and this is a really great moisturising product and I love that you can add moisture to your lips and get a really pretty lip colour too! This is a cleanser that I use after I have removed my makeup, the consistency is quite thick and it's great on my dry skin as it feels so moisturising and makes my skin feel soft and smooth too. It contains oatmeal powder which acts as a gentle exfoliant so it's great to get rid of any dead skin cells. This is a really lovely serum which you apply before moisturiser, it smells lovely and doesn't have a really strong scent so it's not overpowering. It makes my skin feel really soft too! I remember having one of these at school! 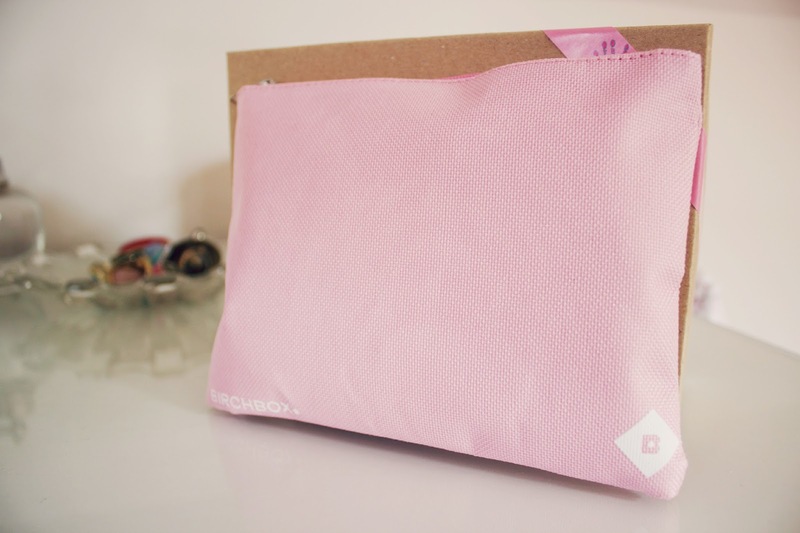 This is the "lifestyle" item in the box, I think it's really cute and my two-year old niece loved it too! Overall I really like this box, each item is something I will definitely use and so far I love the Balance Me Cleanser and the Pixi Lip Balm!